Add the potatoes to a saucepan. Add water to cover. Bring to a boil; cook about 10-12 minutes or until potatoes are almost tender; drain. 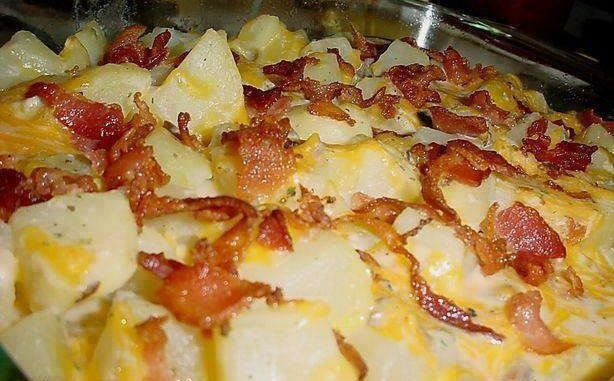 Place drained potatoes into a greased 13×9 inch baking dish.